Capitalizing on our cutting edge technology, we offer a wide assortment of machines that includes Hydraulic Grinding Machine and many more. 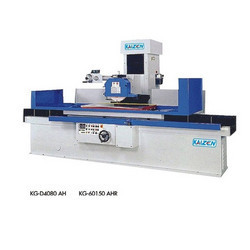 The Hydraulic Surface Grinder is delivered by our company is of high quality. Our products are widely utilized in numerous sectors. These are highly admired for their excellent performance and unmatched quality. We provide these products at a very competitive market prices. 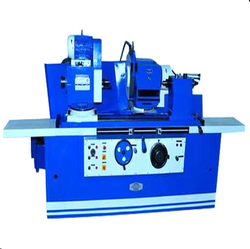 Balbir Hydraulic Machines Private Ltd.
Our range of Hydraulic Surface Grinders is fabricated in keeping with the industry recommended standards and therefore is considered highly reliable and consistent. These hydraulic surface grinders are manufactured from highest grades of material like iron and steel and are available in customized specifications for our clients benefit. v m enterprise offering best range of Hydraulic Surface Grinders is fabricated in keeping with the industry recommended standards and therefore is considered highly reliable and consistent. These hydraulic surface grinders are manufactured from highest grades of material like iron and steel and are available in customized specifications for our clients benefit. Hydraulic Surface Grinder use for grinding of different metallic as well as non metallic flat surfaces. It is manufactured by our skilled professionals using the quality assured raw material and cutting edge technology.